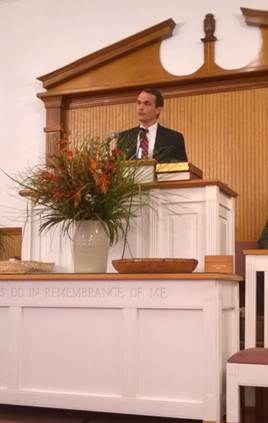 This past weekend (September 24-26), my home church of Cool Springs PBC in Danville, GA was privileged to host the Ebenezer Fellowship Meeting. The Lord abundantly blessed with a series of services that carried us to the top of the mountains. 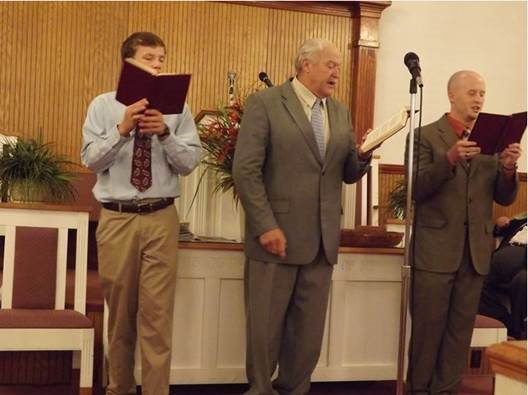 Even though we had some cancellations from ministers due to illness, funeral, and surgeries, the Lord provided. Ministers from 7 states – not counting Georgia – were present with us, and the Lord supplied the message suitable for this occasion. The theme that seemed to intertwine the weekend dealt with the Personage of Jesus Christ. As the eternal Son of God but also made the Son of Man of the house of David and the seed of Abraham, our Saviour is perfect, our kin, and ultimately our God. The Lord’s mercy was evident in this regard. Even when men arrived in the middle of the meeting, their message was in line and right through the same ground that was currently being plowed. While the meeting did not have any shouting, it was that kind of spirit and feeling to the meeting. Many tears were shed, and heart-bursting adulation was seen and experienced. During some of the messages, it was easy to forget the flesh, the world, and the problems of life. 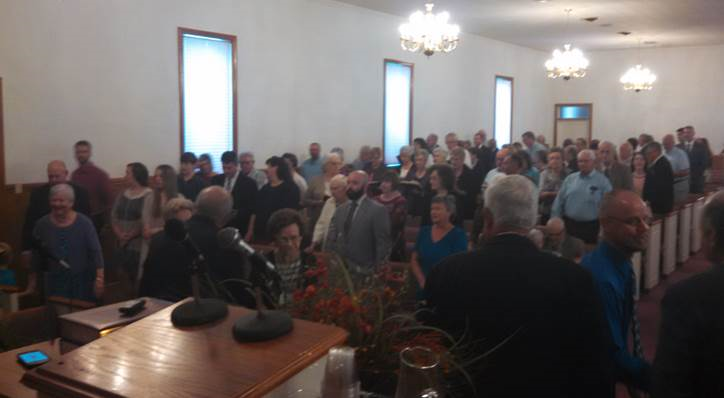 The attendance was good, and the Ebenezer churches were made to feel humbled once again by the rich visitation that our friends and family from other parts gave us. May we show ourselves friendly in the days to come as a token of the same love and affection that was poured out upon us. 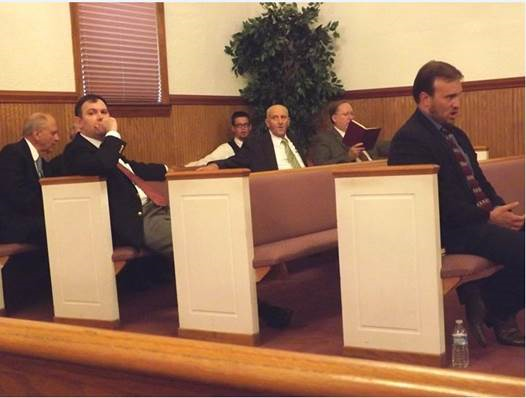 As I said at the meeting’s end, “Thank you brethren for your efforts and thank the Lord for His mercy. He will not forget this labour of love. 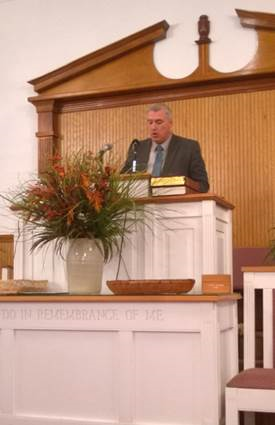 Through your efforts, we didn’t run out of food, and through His graces, we didn’t run out of preaching.” The sermons will shortly be added to our website at coolspringspbc.org. Rejoice with us brethren, for certainly our great God is good unto us! 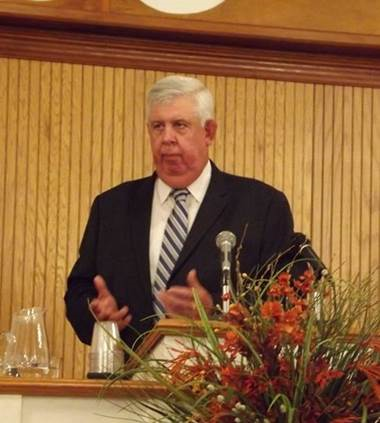 Preaching: Elder Danny Parker – “Heaven’s Vision”. Brother Danny expounded the scene from Revelation 5 showing the majesty of Christ and the adoration and glory that surrounds Him in heaven’s world. 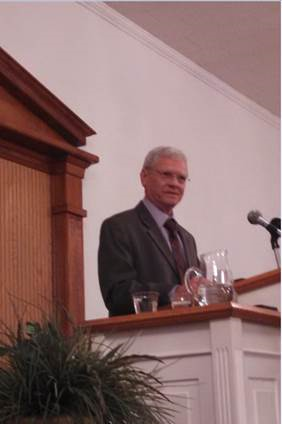 Preaching: Elder Sam Bryant – “Growing in the Word”. Brother Sam talked about growing from the sincere milk of the word, like a newborn babe would as seen in I Peter 2. 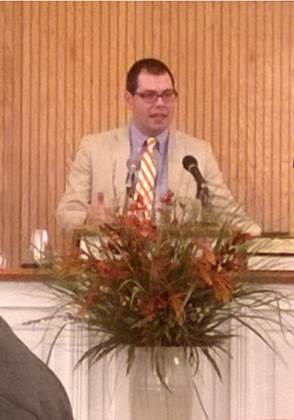 Preaching: Elder Jeb Owen – “Sought out and Married/Not Forsaken”. From Isaiah 62, Brother Jeb showed how we as God’s people are not forsaken but have been sought out and joined to the Lord in marriage. 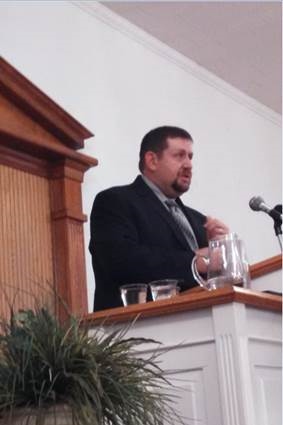 Preaching: Elder Chris Crouse – “Who Shall Separate Us?”. Brother Chris travelled the end of Romans 8 showing that nobody and nothing is capable of separating us from God and His love. 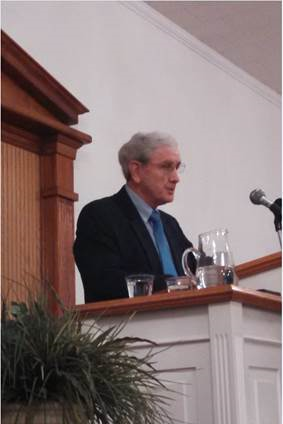 Preaching: Elder David Guttery – “The Kingship of Jesus Christ”. Brother David described in beautiful detail the human side of Jesus that made Him the only qualified heir to sit upon David’s throne. 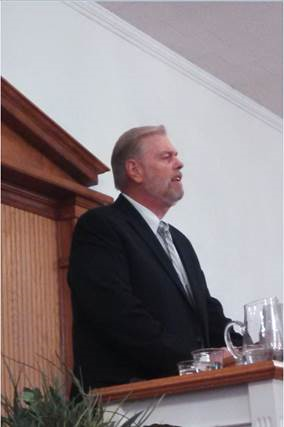 Preaching: Elder Tony Lester – “Our Rock”. Brother tony described how that building anything requires a good foundation, and our foundation should be centered on Jesus Christ rather than the shifting sands of things here below. 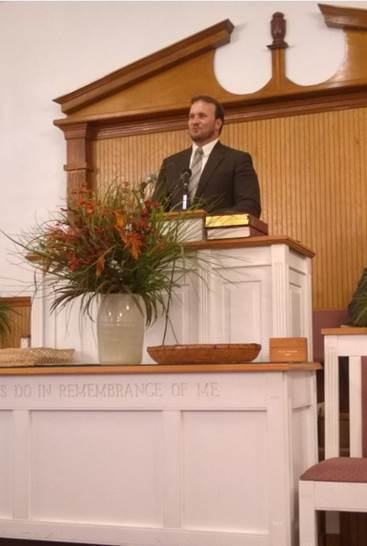 Preaching: Elder Heath Williams – “An Everlasting Covenant and 3 Houses”. From II Samuel 23, Brother Heath showed that we – like David – have an everlasting covenant and should strive to make the 3 houses (our bodies, our families, and the churches) better than they are now as a result of that. 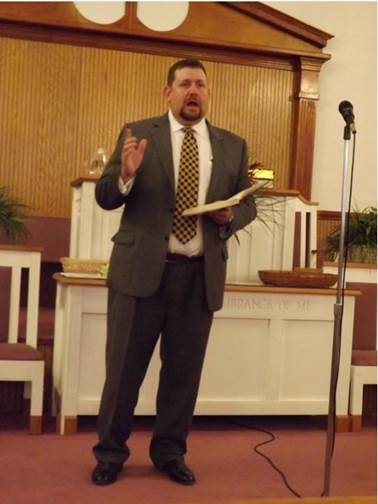 Preaching: Elder Mark Quarles – “The Christian Soldier”. From Ephesians 6, Bro Mark described the armour of God and its use and function. 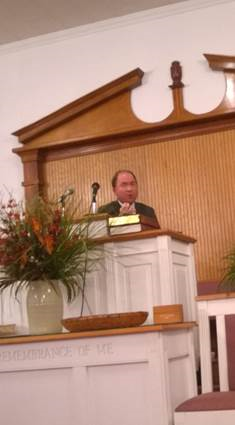 Preaching: Elder Ronald Lawrence – “It May be the Lord will Deliver”. Beginning in I Samuel 14, Brother Ronald showed how that Jonathan and his armourbearer delivered Israel and that we can deliver today with His help, whether with many or few. 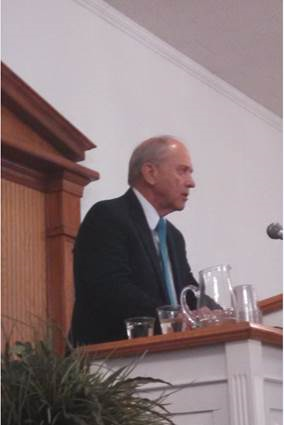 Preaching: Elder John Scott – “The GodMan”. Brother John talked about the personage of Jesus Christ, focused on His holy humanity. Preaching: Elder Ronald Lawrence – “A King and a Man”. From Isaiah 32, Brother Ronald described the king reigning in righteousness, coupled with the man as a hiding place, covert, river and shadow, which is all in type of Jesus Christ who was to come. 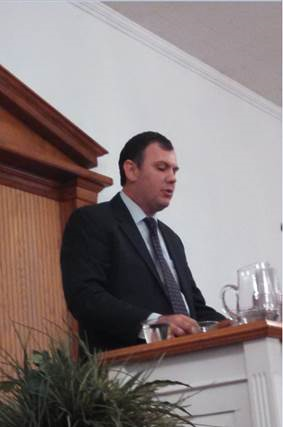 Preaching: Elder James Isaacs – “Effects of Belief and Baptism”. Starting with the concept of belief, Brother James showed what belief tells us of our state with God, proceeds to lead us to do other things including baptism, which leads to state of being manifestly married to Christ. 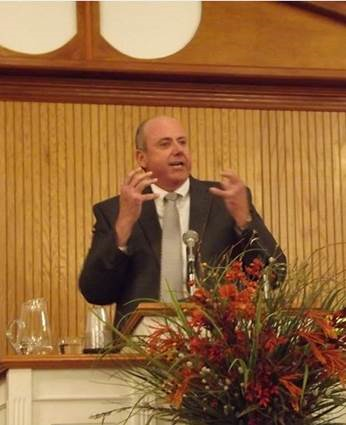 Preaching: Elder Ric Stewart – “Philemon, Paul, and Christ”. Brother Ric travelled through Philemon pointing different times Paul showed forth Christ-like qualities. 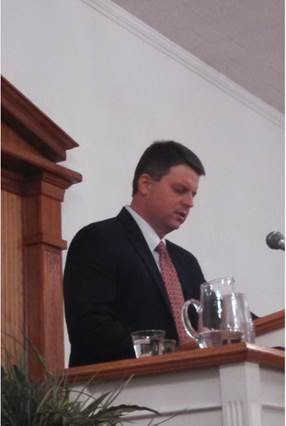 Preaching: Elder Jeb Owen – “The Beauty and Glory of God’s Service”. After such a wonderful weekend, Brother Jeb expounded on the majesty of the experience of serving Christ with heaven coming down on the wings of God’s Spirit.